Cybernetics' AMINOBLOCK 5000 is a potent combination of calorific and structural amino acids designed to constantly supply the body with development elements. These amino acids are ideal not only for pre-workout but also for use before meals where they maximize protein intake from the muscles. Cybernetics' AMINOBLOCK 5000 contains oligo-peptides and poly-peptides in absolutely balanced ratios so that the valuable nitric oxide (NO) retention is maximized. Peptides' action is so potent that Cybernetics' AMINOBLOCK 5000 provides 4 to 10 times greater nitric oxide (NO) retention by the body (!!) compared to other amino acid supplements. 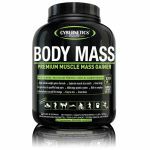 It is the most complete amino acid product and it is suitable for every athlete and every sport. Cybernetics' AMINOBLOCK 5000 consists of amino acids that originate from whey, the protein source with the highest biological value. The extra glutamine contained contributes in a drastic elimination of toxic ammonia that concentrates inside the muscle tissue and reduces athletic performance in every power or strength sport. 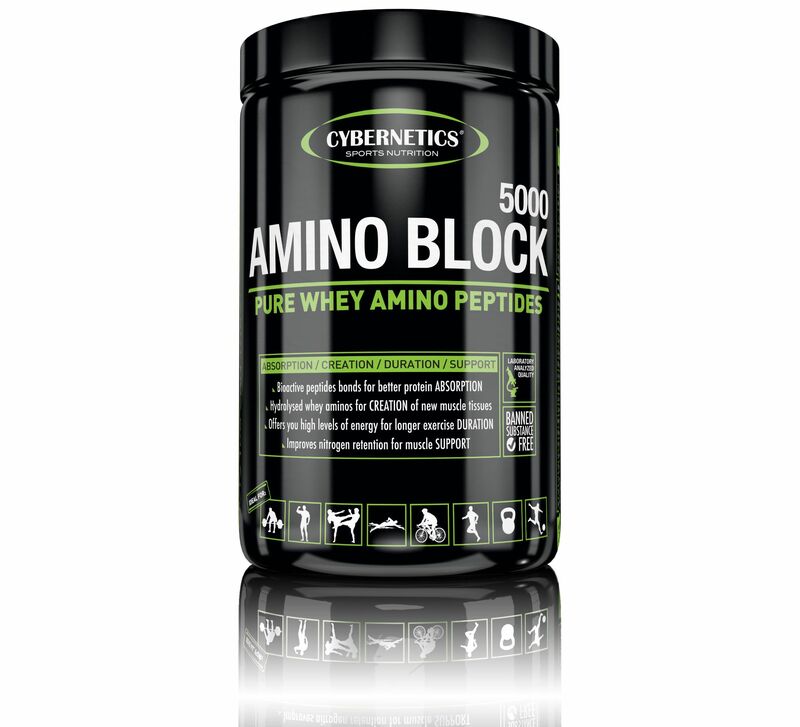 Cybernetics' AMINOBLOCK 5000 gives muscles the ability to intake all the amino acids they need, the time they really need them!! The Recommended Daily Allowance (RDA) is 9 tabs. On training days take 3 tabs 30 to 60 minutes pre-workout, 3 tabs immediately post-workout and 3 tabs before bed. On resting days, take 3 tabs in the morning, 3 tabs before lunch and 3 tabs before bed. Take the tabs with a full glass of water. For optimal results its is recommended to take this product on a daily basis for 6 weeks.